If you’re like us, there are some nights where getting a bowl of cereal on the table can be a challenge. 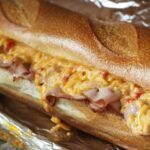 On those nights, I still like to offer my family a hot meal, so I turn to quick and easy recipes like this amazing Hot Ham and Pimiento Cheese Sandwich. 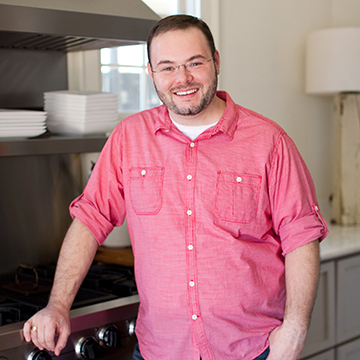 Only 3 ingredients and a 20 minute cook time means you’ll have some amazing food on the table in no-time-flat. Seriously, the ooey-gooey cheese with the smoky ham and the crunchy bread is amazing! This recipe is inspired by my Top to Bottom Ham and Cheese Bread which is just as delicious, but a little more work. 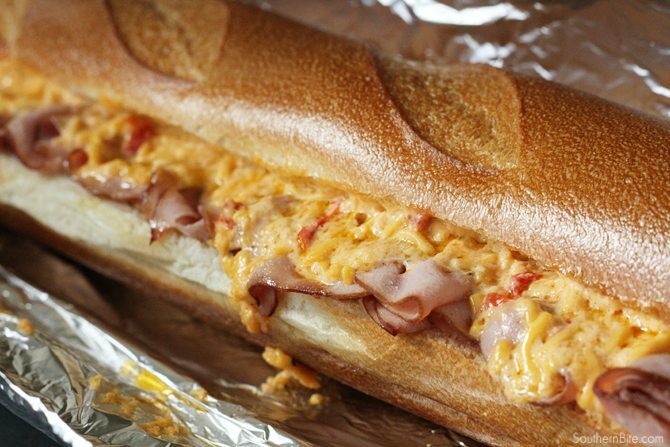 The Price*s Southern Style Pimiento Cheese makes it SO easy to whip up this easy sandwich. 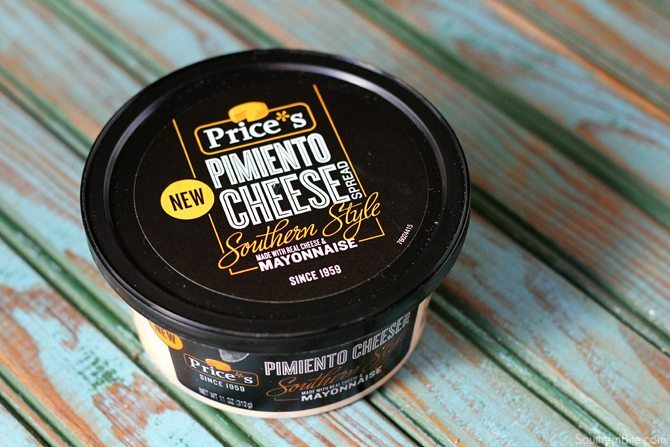 Speaking of that… you know we Southerners are serious about our pimiento cheese – like super serious. So not any old prepared pimiento cheese will do. That’s why I just love Price*s Southern Style Pimiento Cheese. It’s made with real mayo and is much more savory than their sweeter variety. 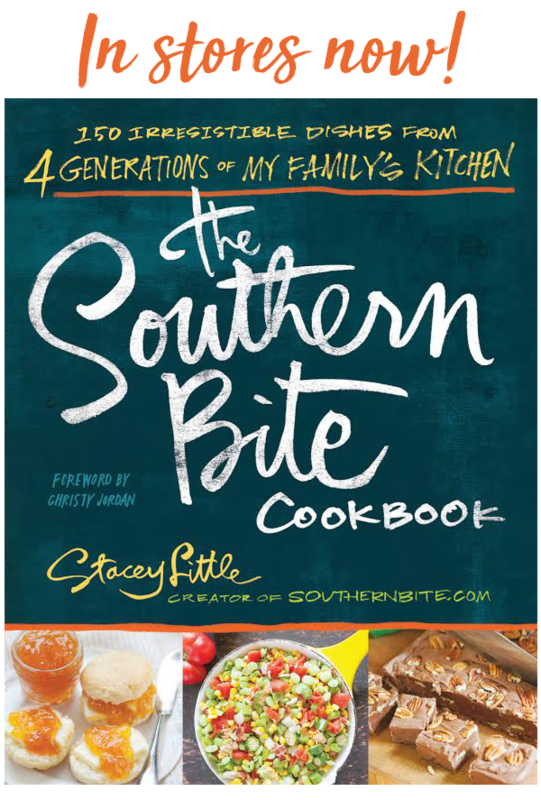 And while we’re on the subject of pimiento cheese and the South, most of us don’t really say pimiento. We like to drop those last syllables. Pimiento becomes puminnah or even puminner. But I’m getting off topic here… as I often do. Preheat the oven to 350°F. Slice the French bread lengthwise and spread the pimiento cheese on one half. You may not need the entire tub. Layer the ham on the other side. Stack the halves and wrap the entire sandwich in aluminum. 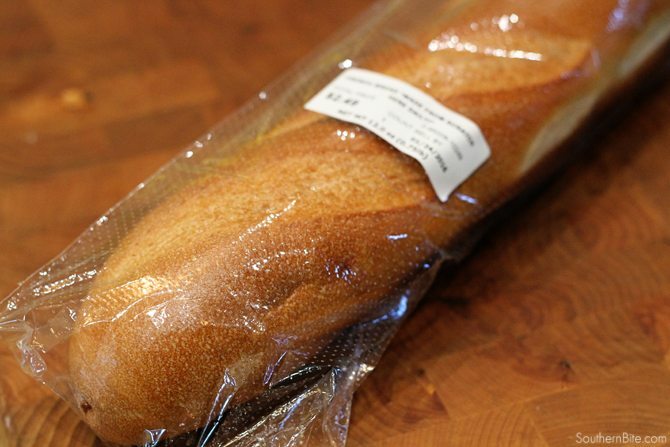 Bake for 15 to 20 minutes or until the sandwich is heated through and the cheese has melted. Serve warm. O.M.G., Stacey! This looks amazing! I’m sharing! This looks so good. I wish I had all the ingredients now. But I only have the bread. Be sure to grad the other few things the next time you’re at the store. You won’t regret it! Love Pimento cheese. We can’t get Price pimento cheese spread here in Southwest GA but we can get Palmetto Cheese and it is good. Still not as good as my Moms but close. I especially like the one with jalapeno’s in it. Using a thicker sliced bread you can put the ham and pimento cheese between two slices, butter the outside slices and cook in your waffle iron or panini machine. Your looks heavenly. Sounds like a delicious idea! we do not have pimiento cheese spread here in the west…..what recipe do you recommend? My favorite sandwich is made of Price’s pimiento cheese, sliced tomato and bread coated with mayonnaise. Now I can’t wait to try your version with ham. It’s bound to be good or you wouldn’t recommend it. Thanks for the trust, Virginia! 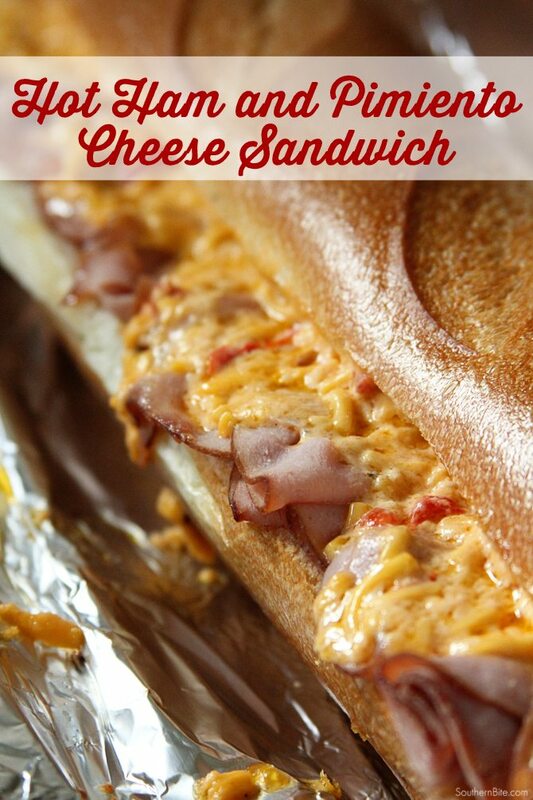 Holy cow as if a ham and cheese could get ANY better. Pinning this one Stacey, great job! !